« Video: How can we Elevate the Lowest of the Low? 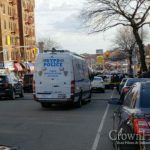 The NYPD has released additional footage of the shooting which claimed the life of Saheed Vassell on Utica Avenue in Crown Heights. The video, which was released following calls for transparency, shows officers rushing to the scene, but shed little light on the incident. Following calls by activists, the NYPD has released a piece of surveillance video captured from nearly a half a block away, of the encounter in which police say Saheed Vassell, 34, pointed an object which looked like a handgun and took a ‘shooting stance’ before being shot by police officers. The video shows a marked patrol cruiser rushing to the intersection with its emergency lights flashing and officers exiting with their guns drawn. Both plainclothes and uniform officers can be seen confronting the subject from across the intersection, and the subject is seen falling to the ground. Due to the distance it is difficult to make out the actions of Vassell in the moments leading up to the shooting. 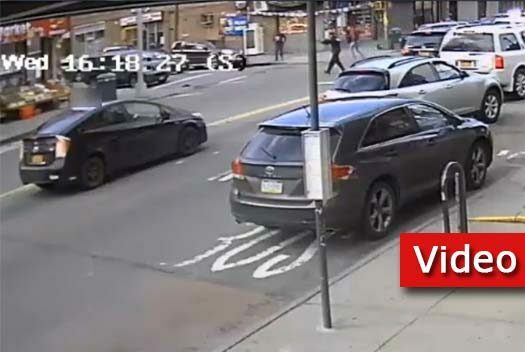 Vassell was shot and killed on the corner of Utica Avenue and Montgomery Street after police received numerous 911 calls of a man with a gun menacing people up and down the avenue. Officers said that when they encountered Vassell he aimed what appeared to by a silver handgun at officers and took up a two-handed shooting stance before officers opened fire. 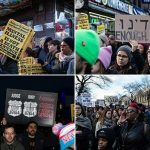 In the way of his death over 1,000 protestors marched in the streets of Crown Heights and demanded “justice” for Vassell. Meanwhile, many residents and neighbors of the victim supported the polices actions in the incident. He sacrificed his life for the sake of intensifying anti-police movement. His action seemed intentionally provocative. It is a waste of time.You can not convince people with a closed mind.That is why the talmud is against debates with Yidishe apikorsim.